over several years. It has been extensively tested by numerous customers, who have built their own versions. Most of the designations are international (e.G.’Ug1’). 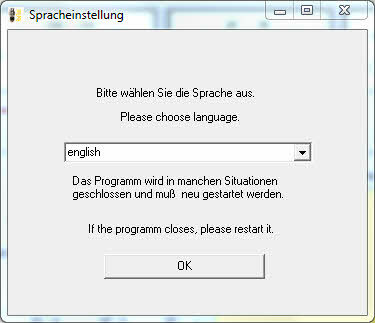 Much of this site is only available in the German language. You can use google-translater for simple translation (some words are not correct translated). other dokuments a translation of many documents is already done - see tips section. There are no warranties of any type. I guarantee neither for the operability or expediency the software, still the schematics, or any documents. The cloning of the RoeTest occurs onto your own risk. Also a liability for consequential damages is excluded (e.g. destructed tubes, components, people damages on the danger from hi voltages, material damages, etc.). Attention: I point out to the dangers by high voltages there. The in device applied and to the tube-sockets applied high voltages are able to cause bodily damages or death. Use the RoeTest cautious and be sure, that the RoeTest only from experts is used (ago children and animals keep away). You have to keep the corresponding safety regulations of your country and you are self-responsible for the electric security. In particular I point out, that loaded capacitors, despite unload-resistors, also still a long time to the power down and separating of the power supply, hi voltages hold be able. It'll urgent advised all capacitors to unload first, before to do circuit experiments and work with it. An examination or other admissibility check lies not till! I guarantee not for, that the carried on of the appliance is allowed. Changes the software and the hardware are at all hours possible. A compatibility to predecessor releases guarantee I for later releases not for, even if this so far given is. The big database becoming current enlarges, completes and corrected. The data still gaps onto, or be able errors contain. A claim onto completeness or trueness passes not for. Also there are in the database data for a little number tubes, the not for with the RoeTest measured will be able (e.g. because the voltages or currents not available, or because there are any special tubes). Copyright Helmut Weigl, Heidestr. 7, 92708 Mantel, Germany, email info@roehrentest.de. All rights to myself reserved (e.g. copy, profit, lend, ). The software and all documents remain my property. You will receive entirely right of use (licence to the own enjoyment). The database is for private own free to the decree below the condition, that these with respect to the data structure not for manipulating will be and mine copyright-hints not for OFF will be. A select of the data of the databases and usage at other files isn’t allowed. A commercial usage is only allowed with my permission. I provide the original target-layouts to the decree. You may use this for your own purposes. It`s not allowed to give the layouts to third parties, even if you have modified it. Allowed is entirely the transfer to pcb-manufacturer to produce your own pcb. The software for the Pic-mikrocontroler (firmware) is only available on myself. To copy the software without mine consent is prohibits. The Mikrocontroler contains a protection to the select the programs that are not allowed to decrypt. On the RoeTest-software printed documents (meassuring-protokolls) is my copyright statement "erstellt mit RoeTest ...". It is not allowed to delete this statement.